The band Idiots will perform. Feb. 17, 7 p.m. to 10 p.m. Thuwunnabhumi Event Park. Tickets are 8,000 to 30,000 kyats at City Marts. The band Wanted will rock Hmaw Sin Kyun. 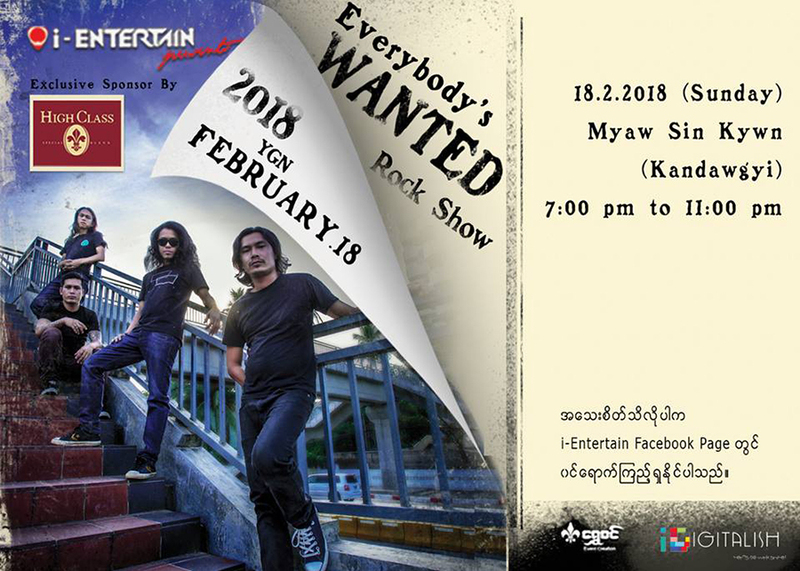 Feb. 18, 7 p.m. Kandawgyi Hmaw Sin Kyun. Tickets are 9,000 kyats at City Marts. 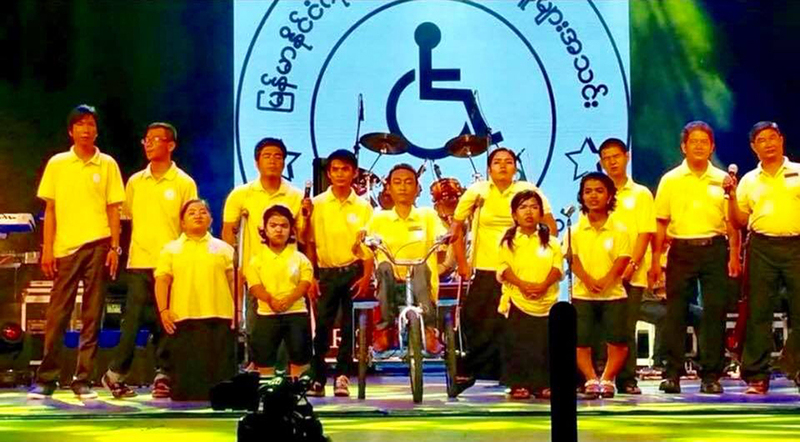 The Myanmar Federation of Persons with Disabilities will organize a charity musical show to celebrate its 16th anniversary. Feb. 17, 7 pm. National Museum, Myoma Kyaung Street. Tickets are 5,000 to 20,000 kyats at Mann Thiri Recording. The Chinese Embassy will screen Xuan Zang, Kung Fu Yoga, Detective Chinatown and Go away Mr. Tumor to celebrate Chinese New Year. Feb. 16-22, 6.30 pm. 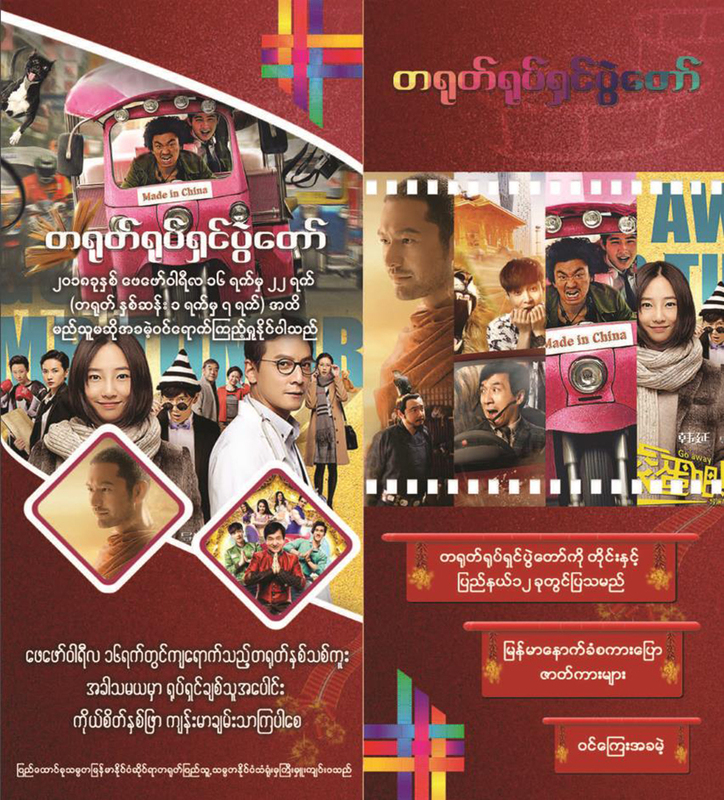 Nay Pyi Taw Cinema, Free admission. There will be sales and celebrity performances to celebrate Valentine’s Day. 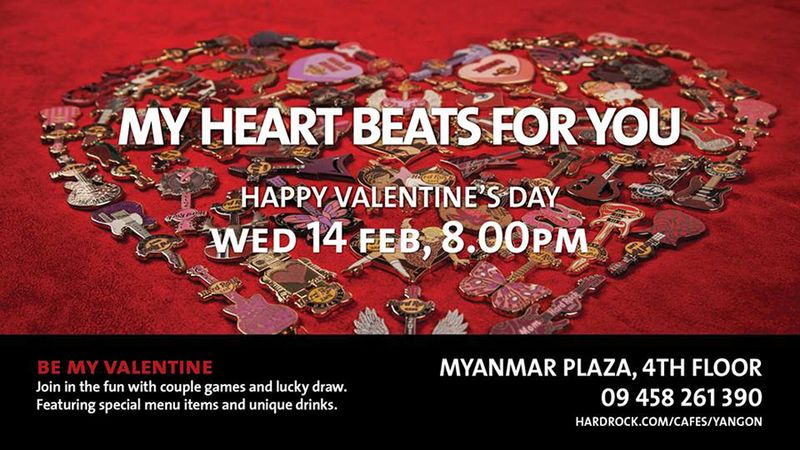 Helay and Eaint Chit will perform on Valentine’s Day. 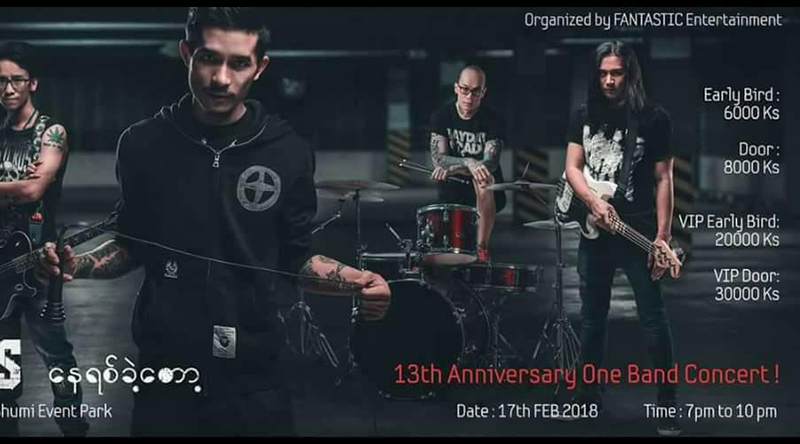 Feb. 14, Pai’s Bar, 8th Mile, Pyay Road. Tickets are 15,000 kyats. 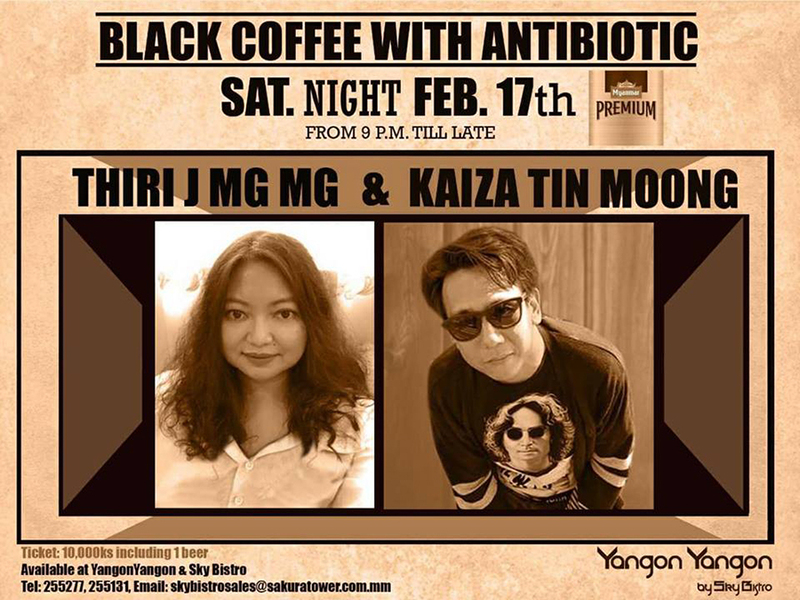 The music band Antibiotics and Thiri J Maung Maung will perform. Feb. 17, 9 p.m. Yangon Yangon Bar, Bogyke Aung San Road. 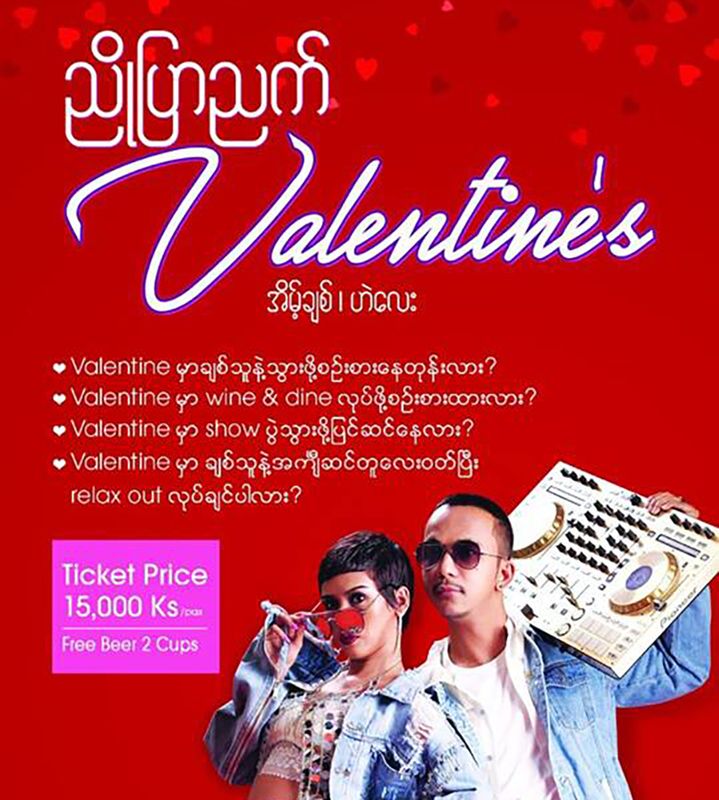 Tickets are 10,000 kyats. This exhibition features the paintings of famous poets. Feb. 17-21. Ahla Thit Gallery, No. 17, University Avenue Road, Bahan Tsp. 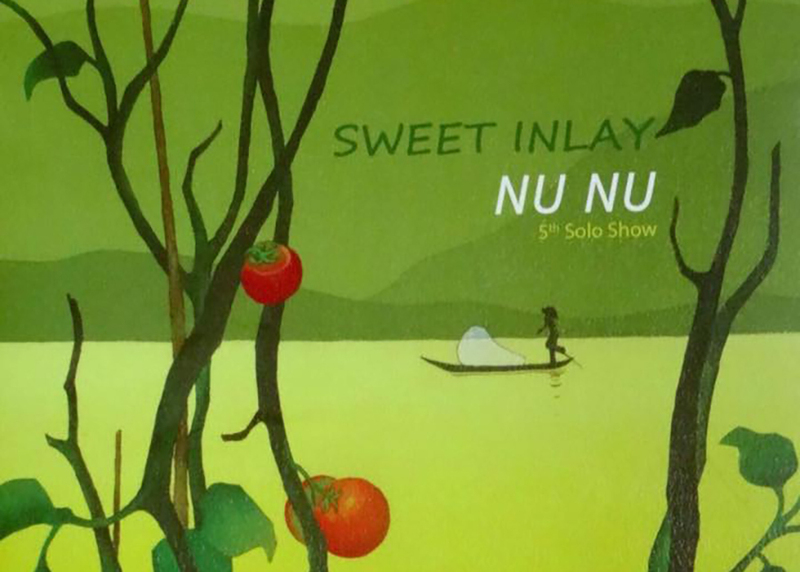 Artist Nu Nu features scenes of Shan State’s Inle Lake at her solo exhibition. Feb. 17-21, 43 Art Gallery, 43rd Street, Botahtaung Tsp. 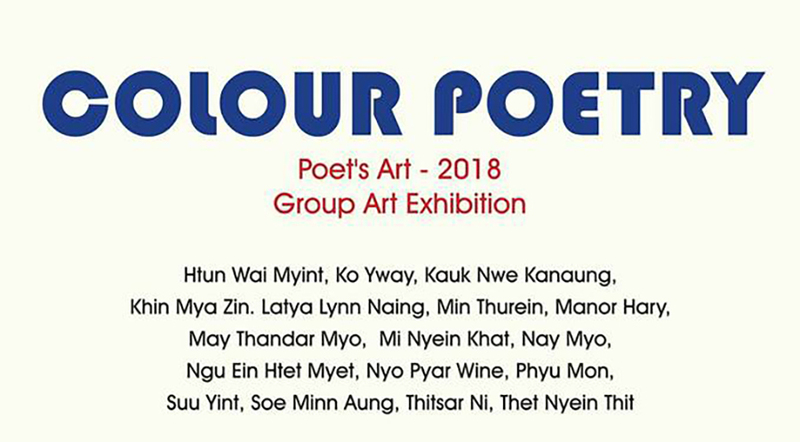 The group art exhibition of six artists will showcase works of different mediums.